Carry-Bike Garage plus for all motorhomes with garage storage facility. Supplied complete with lower brackets to fasten to the motorhome garage floor. The lower section can be folded up when not in use, providing more space should it be required. 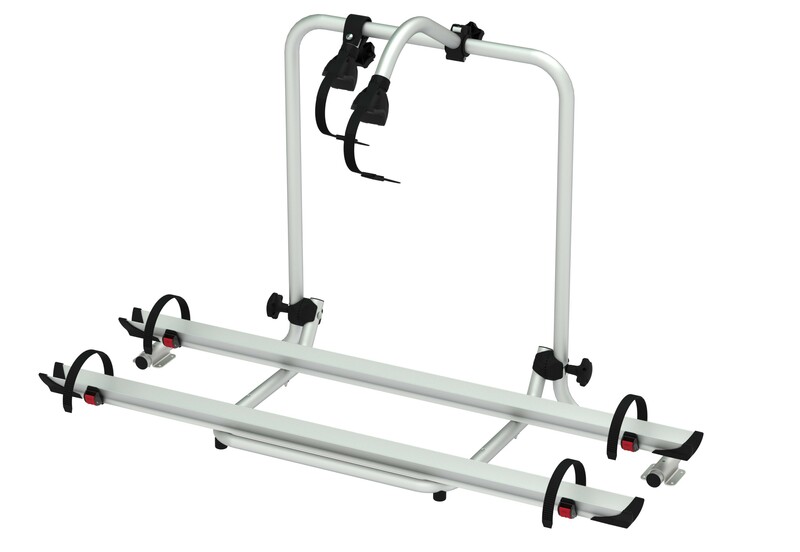 Supplied as standard to carry 2-bikes but can also be purchased with additional Rail Quick supports and Bike Blocks to carry 3 and 4-bikes. Material: Non rusting anodised aluminium frame. Installation: Floor using kit supplied. Capacity: 2 - 4 bikes.